Christian Wiman. He Held Radical Light. New York: Farrar, Straus and Giroux 2018. pp. 123. $23.00. The poet possesses the power of transfiguration. Like Phalaris’ bronze bull transforming the cries of torment into pleasant music, so the work of the poet expresses affliction through the beauty of song. No less brutal, Christian Wiman tells us that the poet hangs impaled on a giant meat hook, and like an animal only increases her anguish by struggling to release herself. Most poets are familiar with this pain, for it is the substance of their work: song and suffering, grace and pain. But the subject of He Held Radical Light is not some faceless poet or artist in the abstract. Rather it is Wiman himself, a fresh meditation on his life among rich poetic personas, a life haunted by sickness but full of radiant friendship. He tells us he hung from the hook, not to make a show of his noble suffering, but to tell the story of eventually being lifted off. Rather than the preacher who tells us we are all suffused with sin and therefore in need of a savior, Wiman lets the poet describe our pitiable condition. We want, we hunger without end, and the task is as much to understand this hunger as it is to satisfy it. While we may hope for a searching analysis of the hunger, this is not what we get. The topic shifts elsewhere nearly as soon as the question is proposed and a few answers suggested. Indeed, the theme remains relatively underdeveloped throughout, despite the reassurances of the dust-cover that this is the animating question of the slim volume. I doubt that this is the question that keeps Wiman up at night. The simple idea of man hungering for God suggests a relationship between the human and divine that lacks the nuance of human desire, our sense of insufficiency. Wiman wants to capture this complexity, and his ginger handling of the hunger metaphor reflects two serious concerns. The first is his justified discomfort with how tritely Americans have come to speak about God – cliché being the norm, the chief allergy of the poet. The second is his desire to speak to his peers as a fellow traveler rather than a street-corner evangelist. His hope, it seems, is that honest poets and readers of poetry will admit that they seek transcendence, and that they will see it can be sought in good faith, so to speak, without the political and cultural baggage of American Christendom. This is a welcomed attempt to quiet the war drums of cultural politics that threaten to drown out the still voice of poetry. This fear, this visceral terror, lies at the root of much art – Wiman observes – religious or otherwise. And it pushes some of us to question the significance of our lives in the shadow of this inevitable demise, even to the hope of a life after death. But if belief in the afterlife is motivated only by fear, it is merely wishful thinking and will remain unconvincing. Wiman wants us to avoid this mistake, and instead focus on what we can see and hear when poems such as this bring our world to a sudden, quiet halt. The pride of the poem, whether for the religious believer or not, is that it fulfills “one of art’s functions … to give form to feelings that would otherwise remain inchoate and corrosive.” Inchoate because poetry sings what would otherwise be a muffled cry, corrosive because without the calming clarity of verse, the terror of nonexistence would rot us. Upon reading a poem such as “Aubade,” we see ourselves anew. What was once obscured is now illuminated, our true condition is before our eyes: in poetry, our despair over death is transfigured into something that shimmers with hope. Roth: How are you doing? Hall, with a shrug: Still writing. Roth, with a shrug: What else is there? This is the conversation Wiman continues, and he maintains it in admirably clear language, pulling no punches. Radical Light is a dialogue for us to overhear, those of us who have come to wonder whether reading and writing is just about as good as it gets in this life. Anyone who defects from this orthodoxy may be accused of losing their nerve, or worse, wishful thinking. The enduring value of Wiman’s words, in both his prose and poetic works, resides at least in part in his sincerity. Whatever we might say of him – adherent of medieval, mystical faith – we cannot accuse him of mere wishful thinking or aesthetic irresponsibility. He is convinced of the necessity and efficacy of divine grace, and some of us may envy him for it. It is a forceful illustration of poetry’s power to reveal truth beyond what we can see: truth in the uplifting tones of music, and truth in mystery. 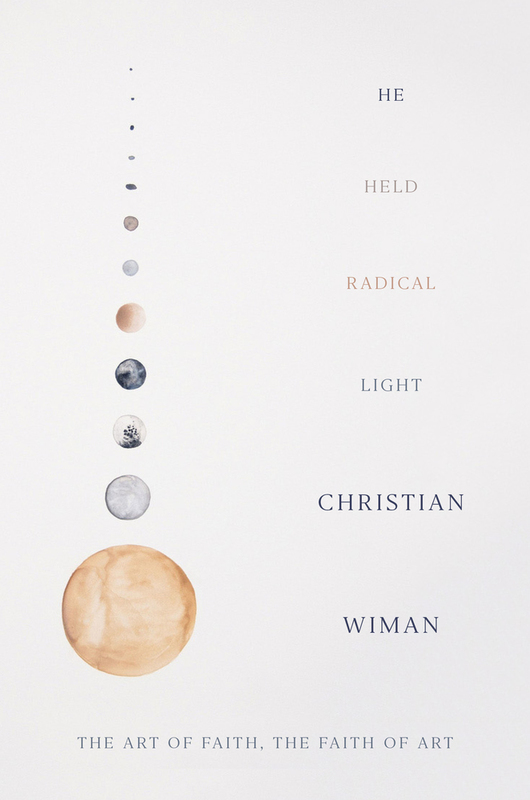 For all the subtlety and complexity of his thought, Wiman’s (provisional) conclusion is simple: the mystery of faith is really the mystery of grace. Some of that old time religion, a theology of grace that is as appealing as it is unoriginal, which should not be a mark against it. The lust for something new – that is, an insatiable hunger – is a hook that we dangle from. Wiman is no longer suspended on the hook. “Released,” he says, by “a faith that did not originate in” him. The honesty of this declaration – it has the ring of testimony. You cannot lift yourself off such a hook. Scott Casleton is a PhD student in philosophy at the University of California, Berkeley. He studied philosophy and religion at Yale University. Tweets @scott_casleton .